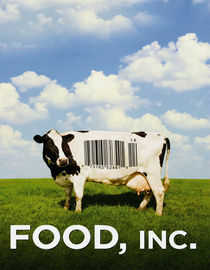 I recommend watching these films only if you are intersted in knowing the hard truth about where our food comes from and the effect it can have on our bodies. A documentary about a father who sets out to find out what GMOs are and what effect they have on our bodies Most of us unknowingly consume genetically engineered food on a daily basis. The risks and effects to our health and the environment are largely unknown. Yet more and more studies are being conducted around the world, which provide reason for concern. An inquisitive man sets out to find the facts about milk. Throughout the journey, he is left with more questions than answers and remains dangling and confused amidst vastly opposing positions held by scientists, nutritionists and experts. Milk plays a huge role in our Western diet. But how good is it really? Drawing on Eric Schlosser’s Fast Food Nation and Michael Pollan’s The Omnivore’s Dilemma, director Robert Kenner’s Oscar-nominated documentary explores the food industry’s detrimental effects on our health and environment. Kenner spotlights the men and women who are working to reform an industry rife with monopolies, questionable interpretations of laws and subsidies, political ties and rising rates of E. coli outbreaks. In Aaron Woolf’s thought-provoking documentary, friends Ian Cheney and Curt Ellis move back to America’s Corn Belt to plant an acre of the nation’s most-grown and most-subsidized grain and follow their crop into the U.S. food supply. What they learn about genetically modified seeds, powerful herbicides and the realities of modern farming calls into question government subsidies, the fast-food lifestyle and the quality of what we eat. On the heels of recent lawsuits against McDonald’s, director Morgan Spurlock takes a hilarious and often terrifying look at the effects of fast food on the human body, using himself as the proverbial guinea pig. For one month, Spurlock eats nothing but McDonald’s, ordering everything on the menu and “super-sizing” his order whenever asked. The result is a sobering examination of the line between personal and corporate responsibility. Philippa (Hanne Stensgaard) and Martina (Vibeke Hastrup ) turn down a chance to leave their Danish town, instead staying to care for their pastor father and his small church. Thirty-five years later, a French woman (Stéphane Audran) seeks refuge, and Philippa and Martina (now Bodil Kjer and Birgitte Federspie) take her in. 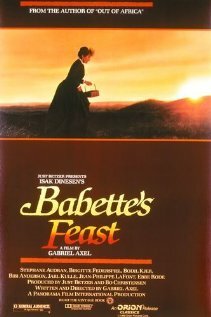 The feast the woman prepares in gratitude is eclipsed only by her secret in director Gabriel Axel’s Oscar-winning drama. A celebration of the role of food in Japanese culture, acclaimed director Juzo Itami’s hit satire was dubbed the first “noodle western” for its delightful parody of American Westerns and Japanese samurai films. Tampopo follows a young widow (Nobuki Miiyamoto) who runs a small noodle restaurant in Tokyo and Goro (Tsutomu Yamazaki), a cowboy hat-wearing truck driver, as they attempt to concoct the perfect bowl of ramen. Bored with modern living, four middle-aged friends — a pilot (Marcello Mastroianni), a judge (Philippe Noiret), a television star (Michel Piccoli) and a chef (Ugo Tognazzi) — embark on a gluttonous weekend of food and fornication that’s to die for. Italian director Marco Ferreri scored his greatest global success with this darkly amusing allegory, which nabbed the Cannes Film Festival’s International Critics Award. love your every part of this site. great movie recommendations. looking forward to being a subscriber. Thank you so much, Whitney! Glad to have you as a subscriber!